I just watched a great presentation put on by a safety expert on the art of falling. Well, actually, it was about preventing falling in the first place. The speaker was presenting to a group of contractors (my clients) on the topic of fall protection. The subject can be a difficult one to really get construction workers fired up about at 3:00 on a sunny Friday afternoon right after they got paid. As a presenter, I was anxious to see how he did. I was very impressed with his ability to connect with this audience and keep their attention for over an hour. I’m not sure if he has had speaker training, so if he hasn’t, I’m even more impressed. 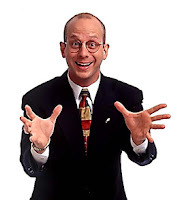 He kept his audience engaged by using stories to illustrate his points; he had a high I-You ratio (using the word you more than I) which gains buy-in from the group, and he gave them plenty of WII FM (What’s in it for me) with examples of broken bodies after falls. Even more impressive was his use of dialogue. All these skills are essential in being an effective speaker. What can you do to better deliver your message in your line of work? Stories, dialogue, and WII FM are key strategies. Remember, it’s not about you; it’s about your audience, whoever that might be. The bottom line – it doesn’t matter what industry you are in. Communication is critical. In this case, it might even save a life. P.S. That’s the reason I started my Panic to Power Boot Camp. You can learn how to be that dynamic speaker. The next boot camp is November 6. To learn more and to register, click here. I read this blog from Dan Coughlin yesterday and loved it. I wanted to share it with you. For all of my friends in management positions, what do you think about it? Is your organization willing to be patient when your senior manager is struggling through a 1-11 season and four losing seasons in a row? Are you as a manager willing to hang in there and keep believing in yourself? Schiano did, and he never wavered in his goal to win a national championship. He influenced those people that he could at each stage in this seven-year journey. At this point, the story is unfolding for Charlie Weis at ND. Will the university stay patient as he works to build a long-term, successful organization? Will he maintain his patience and confidence in the face of relentless criticism? When an organization begins to win, or lose, on a regular basis momentum is created. It’s far easier to sustain momentum than to create it or change it. That’s why every play counts. One win that could have been a loss, or one loss that could have been a win, can begin to shift the momentum. In your business, what small detail or seemingly unimportant project can you propel to a higher level of performance that can generate the momentum you want? I think the biggest story here is the story of talent management. Rutgers held onto a guy they believed in, and gave him the time he needed to build a successful organization. In those same seven years that Schiano has been at Rutgers, ND has been through three coaches, and a lot of people want Weis fired for losing six games in a row while giving up over 30 points in each game. The first step in attracting, retaining, and developing talented employees is attracting, retaining, and developing a talented senior manager. Be patient. The second lesson on talent management is that great players make great coaches, and great coaches make great players. In other words, Schiano became National Coach of the Year when he had the players necessary to win. I doubt he became that much better of a coach in the four years it took to go from 1-11 to 11-2, but I have a hunch his players got a whole lot better. Always work to improve the quality of the performers in your organization if you want to improve the quality of your organization’s performance. Last month (August 20), the Blondie Rule #1 dealt with overcoming “analysis paralysis”. This month, you will learn how my dog has taught me about perseverance. The famous quote by Mark Twain listed in the title surely applies to Blondie. In late December of 2004, she was diagnosed with a malignant tumor in her gum. The veterinarian had taken as much out as possible, but sadly reported that she didn’t get it all. At the time, Blondie was 13 years old and all the treatments were very invasive and costly. We opted to do nothing, except make our friend as comfortable as she could be for the remainder of her life. She was given a death sentence of 2 to 3 months. Fast forward to today and Blondie is 16 ½ and those 2-3 months are almost 3 years. The cancer has come back and spread some. In fact, just a few weeks ago, she was looking so bad and struggling so much; we began mentally preparing for her to pass on over the weekend. She fooled us again. It’s been almost a month since that day and although I can’t say she’s going on strong, she perseveres and lives to fight another day. Sooner than later we will have to make that difficult decision when her quality of life erodes. Based on how she devoured her breakfast this morning, we’re not quite there yet! Blondie reminds me that not every day is going to be better than the day before. Some days can bring frustration, pain, and struggle. But persevering, “grinding” out the tough days, and living to fight another day should be our mantra, too. 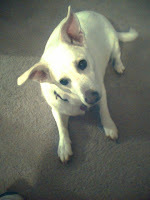 Blondie didn’t understand the diagnosis she was given in December of 2004. She just kept living every day, even when some days weren’t as good as others. I know I have days where I grouse and complain about things. Blondie reminds me that I need to get over myself and realize that struggle is a necessary part of life; it makes us stronger. Instead of trying to be the person my dog thinks I am, I guess I just need to be more like my dog! Do you remember when you met someone who had an impact in your personal and professional life? I’ll never forget meeting Cy Wyse. Cy was a mountain of a man in his early 70’s. He had been an outstanding basketball and football player in his youth and you could tell that although he was older, he had been an imposing figure. He had the biggest hands I’d ever seen and a powerful grip. He introduced himself to me after my first basketball practice at North Kitsap High School. He asked permission to watch practices, not to critique me he carefully stated, but to watch his granddaughter, who was a junior on the team, play. I agreed and that was one of the best decisions I ever made. Over the course of the next seven years, Cy became a friend and mentor. Now don’t get me wrong, he certainly had his opinions, but he was steadfast in his belief that the coach was the coach, and his or her word was law. Cy was always courtside at our games, even after his granddaughter graduated. He was always available to offer me sage advice, mentor me, and listen when I just needed to vent. He would invite me over to his house for some lemonade that his lovely bride, Alma would fix for us. I don’t think I ever got out in less than two hours! His stories and wisdom were priceless. Cy passed away on Wednesday (September 19) and he will be missed by a large extended family, including the community he worked so hard to build. He was a champion for the youth, spending countless hours mentoring students, coaching athletes, and lobbying to gain increased parks and facilities. Cy was a good friend and mentor to me and I’m eternally grateful. I will miss him. So who is that someone that has had an impact on you? Maybe the better question is – whose life have YOU impacted? We’re only on this earth a short time. Being a mentor and friend to someone else is not only a nice thing to do, it’s incumbent on all of us because someone did it for us. The best thing I can do in thanks for Cy’s generosity to me is to give that back to someone else. What about you? Whose life can you impact in a positive way? Posted on September 17, 2007 CategoriesUncategorizedLeave a comment on Are You Prepared for the Unexpected? I’m teaching my first class for the National Alliance for Insurance Education and Research tomorrow in Seattle. The class is for Certified Insurance Service Representatives (CISR) and I’m at the stage of the process to teach the first half of the class. Presenting in front of a group has never been an issue for me; however there are a couple areas that have me nervous. I’ve got a brand new laptop and projector with great slides that my daughter, Mindy helped me put together. The problem is I’ve never used either in a formal presentation, so I spent all Saturday night making sure I knew how to connect the laptop to the projector and make sure I knew how to use the wireless mouse and laser (I’ve never had control of a little red dot on a screen, but it’s pretty cool). Still, using new gadgets for the first time in a live presentation always makes me a little uneasy. You never know what challenges you will run into with the configuration of the room, the positioning of outlets, or a just Murphy showing up and imposing his law on you. Being prepared for a presentation is really vital. It shows that you are a professional and ready for the unexpected. Have you ever been to a presentation where someone’s batteries died and their remote no longer worked? How about having dry erase markers that were out of ink (or whatever that stuff that is). I was at a presentation recently where the presenter’s batteries died and I had an extra set for him. Now, I need to remember to replace them in my briefcase! I’ve tried to learn from experience to bring extra things just in case – batteries, dry erase pens, Kleenex…you never know what challenges you will have to overcome. Once, I had to bring in my own television to show a video clip because the room’s television didn’t accept my CD! Remember, those people in your audience deserve your best. Make sure you come prepared to give it to them! Posted on September 13, 2007 CategoriesUncategorizedLeave a comment on Are You Ready to Change? My good friend Darren LaCroix (the guy to the right) recently moved from Tulsa, OK to Las Vegas and I followed his journey during the long drive between the two cities (read Darren’s blog). After speaking with him last night, it brought back memories of all the moves I’ve made with my family since I was married in 1986. We’ve been in our current home for over six years and the home before that for eight years. Prior to that, though, we were like nomads; living in four different places in a five year period. I hate moving. It seems like every time you went out with a load of stuff, there was more stuff in the house you were leaving. It was like a bad episode of the Twilight Zone! How do you handle change in your life? I always thought of myself as good change “handler” and then I remember the moving! They (not sure who “they” is) always say that when you close one door, another door opens. When change happens in your life, are you looking for that new door with excitement or dread? If you’re like me, you’ve probably found more positive doors in your life that have opened up. Change, although difficult at times, will lead to new adventures, journeys, and experiences if you allow it to. Think of that the next time one door slams shut because there is probably another one WIDE open! Let Your Dawgs Out to Play! Posted on September 10, 2007 CategoriesUncategorizedLeave a comment on Let Your Dawgs Out to Play! Who let the Dawgs out! 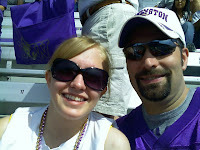 That’s my daughter Kelli and me enjoying a beautiful day in Husky Stadium where our Dawgs were beating up on Boise State. We ended their 14-game winning streak and most importantly, got off to our first 2-0 start since 2001. As you can imagine, everyone wearing purple in Husky Stadium was ecstatic and looking forward to next week’s match-up with perennial power Ohio State. Visions of bowl games, Pac-10 championships, and Jake Locker touchdowns were dancing in all of our heads. The funny thing was while we were driving home and listening to the post-game show on the radio, a guy called in and wanted to be the voice of caution. “We’ve seen this before. We can’t get too excited. They’ve let us down in the past”. My response was the same as the reporter. “SO WHAT!” Why can’t we enjoy this time and revel in it, especially since we haven’t had the chance to in about half a decade! Isn’t part of the love of sports based on those highs and lows we experience following and rooting for our teams? Isn’t that what makes sports special? For every New York Yankees, there has to be a Chicago Cubs right? That got me thinking…which can be a dangerous thing. How often do we do that in our lives? Whenever things are going well, are we too cautious waiting for the other shoe to drop? Don’t want to have too much fun in anticipation of a letdown? Conversely, when we are grinding through a tough time, do we look forward to the time when the tide changes, knowing those good times are around the corner? Life is an adventure and a journey. I liken it to a round of golf. Through 18 holes there will be some very tough times and some great holes. And, for most holes, you will be on an even keel or at least “grinding” as Tiger Woods would say. Rejoice in the birdies in your life. They don’t always come around as often as we all would like so enjoy. Grind through those double-bogeys, knowing that your next par may be on the next hole. And, most importantly, enjoy the round and who you are playing with because you never know when that may be the last one. Game on! P.S. You are invited to subscribe to my FREE e-newsletter. It comes out monthly and has several tips and suggestions for improving your communication and presentation skills. Click here to subscribe. Oh, did I mention it’s FREE? Did you read an article in today’s paper by Travis Reed from the Associated Press about the death of an old major league ballplayer named Bill Henry? Normally, an article like this only catches my attention because I’m a sports junkie; however this one had added intrigue. It turns out the Bill Henry who died after decades of claiming he was the Bill Henry who pitched in a World Series for the Cincinnati Reds in 1961 and was an All-Star in 1960, was actually lying. His name was Bill Henry alright; however the former major leaguer is still alive and kicking in Texas! The deceased Mr. Henry had been fibbing to his family (third wife of 20 years believed him), friends, and anyone else who cared to ask for over two decades. He even had pictures taken of him and his wife with “his” baseball cards in the foreground. His golfing pals are in shock (probably wondering how many strokes he concealed over the years) and are having a hard time believing this could happen. Needless to say, that small community in Florida is in shock and probably feeling a bit betrayed. This article isn’t meant to bad-mouth the deceased Mr. Henry, or preach about the ills of dishonesty. That one is a given. However, we should use this also as an example of the power of our words and the effect on those who hear them. Think about Mr. Henry’s words for the past two decades. His family and friends took him at his word not only for his baseball claims, but in everything else he did in life. Now, with this revelation, does it call into question everything he did? How important are your words? To whom does your message go? If you are in business, the message you leave with clients, prospects, and associates will resonate who you are. You will build trust and long-term relationships not only in what you say, but how you say it. In your family life, your spouse, children, and extended family will learn from you and in many cases model their behavior after you. How you communicate with the young children in your family circle may be critical to their upbringing. The moral of this blog is to be attentive to your words and actions. Not only will they define who you are; but they may also influence other people in your lives. You are, or will be, a role model to somebody…make your message count. We just bought the new Nintendo game Wii® on Saturday and boy, is it a hoot! How many of you have Wii®? For those of you scratching your head and wondering what the heck is Weedin talking about, let me explain. Wii® is basically a PlayStation ® console where you can play video games on your TV. It’s a wireless game that needs YOU to do all the motions in order to make the characters on your TV move. So, if you’re playing golf, tennis, baseball, boxing, or racing cows – you perform all the actions. No more sitting like a lump on a chair with a joy stick, now you have to get up and move with Wii®. First of all, as a family Wii® provided us hours of fun, raucous laughter at each others follies, and (unbelievably) great exercise. We were all pooped at the end of the evening. If you don’t believe me, go try out the boxing trainer and tell me you don’t work up a real sweat. So, what can we learn from playing Wii®? Well for starters, you can spend real quality time with your family and friends. Wii® is almost like a board game that takes everybody’s participation and attention. Unlike sitting and watching television, conversation, laughter, and bonding take place. You wouldn’t have caught me EVER saying this before about video games, but Wii® changed my mind. Secondly, I came away with a new appreciation of humility. My daughter Kelli and I were competing in several games, namely boxing and shooting (not people – mainly space ships coming to take away little characters that look like us). She was regularly beating me (pretty soundly) in all the games that required speed, reflexes, and agility. It’s a humbling thing to be beaten by your 17 year old daughter in a boxing match! Although I was stronger (measured by the speed of your punch), she was quicker, delivering more blows. The lesson in humility is important for all of us. One of the areas of work I need is in humility and sometimes my kids give me a wake up call. Humility can be a very important aspect of good communications. Think about it. If you’re not humble, it’s hard to listen. When listening doesn’t happen, it’s impossible to communicate. When was the last dose of humility you received? Maybe the more important question is – what did you do with it?